The North Bend Area Community Foundation (NBACF) was established in 2000 for the purpose of receiving, administering, and disbursing funds for community improvement and assistance in areas such as civic, cultural, educational, health and welfare needs. With the belief that a community is only as strong as the people who support it, gifts to NBACFF will help provide numerous benefits to the North Bend area community. Meetings are generally open to the public and are held quarterly. 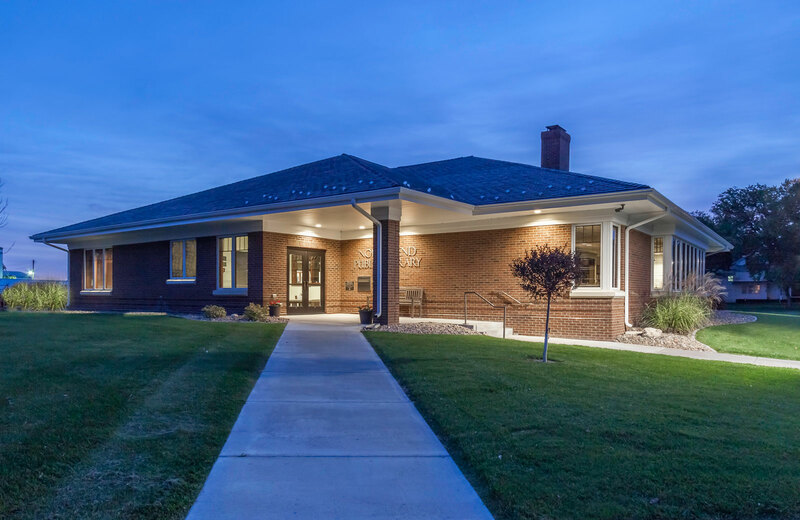 The North Bend Area Community Foundation’s mission is to support activities, which provide civic, educational, health, welfare, or cultural benefits to North Bend, Nebraska, and its surrounding area. Requesting organizations must be tax-exempt; no grants are made to individuals, for ongoing operating expenses, or to religious organizations for religious purposes. To apply for a grant, please click on the link below to download an application. There are many ways to give to the North Bend Area Community Foundation. Some methods may enable you to enjoy increased income and reduced taxes. Life income programs may eliminate or significantly reduce capital gains taxes on appreciated assets. Gifts can be made using cash, securities, bonds, real estate, or personal property. General Gift or Bequest: A sum of money or a percentage of your estate for the endowment of the Foundation. Book of Memories: A gift to the Foundation to honor the memory of a friend or family member. The names of those memorialized are inscribed in “The Book of Memories,” an attractive, leather-bound volume displayed at the North Bend Community Library. Field of Interest Gift or Bequest: A gift to be used for a specific charitable purpose. This method is designed for donors who may have some particular causes they wish to benefit, but are concerned about committing their resources to a particular organization, since time changes all things. Donor-Advised Endowment: A fund within the Foundation which allows you to address personal philanthropic goals without many of the administrative concerns inherent with the creation of a private individual foundation. A minimum is necessary to establish a donor-advised endowment, which is subject to certain IRS regulations. You may make recommendations for grants from the income from the fund; final approval of the recommendations comes from the Foundation’s Board of Directors. Scholarship: A scholarship fund may be established to honor a person and/or to support students in a certain field of study, or you may designate your gift to enlarge an existing scholarship fund within the Foundation. Again, a certain minimum amount is necessary to establish a scholarship fund. Pass-Through Fund: A fund is established for the purpose of making gifts to charitable organizations via the North Bend Area Community Foundation Fund in order to support one or more broad charitable purposes. Gift of Grain: By donating your Gift of Grain, you help pass along the good life in the North Bend area to future generations. Click here to download a brochure for more information. NBACF has a local board of directors who will receive, administer and invest funds donated to the fund. The board will also make recommendations for the investment and disbursement of funds for improvement in the North Bend area community. The Board of Directors is dedicated to prudently managing the assets, as well as disbursing grants as determined by a majority of the members. The local foundation is a component fund of the Fremont Area Community Foundation, a tax-exempt 501(c)(3) organization, whose funds must be utilized for charitable needs. FACF makes final decisions on disbursement of funds. This fund was established by the North Bend Area Community Foundation to hold contributions for the North Bend Veterans' Memorial Park. This endowment fund was established to provide scholarships for students at North Bend Central High School, and small grants for special projects at the school. This includes several sub-funds established by the gifts of individual donors. To learn more about the NBC Foundation, please visit their website at http://www.nbtigers.org/index.php/district/nbc-foundation or Facebook page at https://www.facebook.com/North-Bend-Central-Foundation-1426392250918210/timeline/. This fund was established to support the construction and maintenance of the swimming pool in North Bend. This pass-through fund was established to support renovations to the trail system in the North Bend Arboretum. The purpose of this fund is to serve the charitable activities of North Bend Lodge #119 AF & AM including such interests as the Masonic Eastern Star Home for Children, the Masonic CHild Identification Program (CHIP), Boy Scouts, scholarships and others. The fund may also be used to provide emergency hardship assistance to both lodge members and non-members in compliance with the Victims of Terrorism Tax Relief Act of 2001.